The Villa Happening is a new-built traditional lodging located in Imerovigli of Santorini. It is a family run business, which offers its guests all modern comforts. With view the immense light blue of the sea and the around islands of Santorini hardly 20 metres from the Caldera. 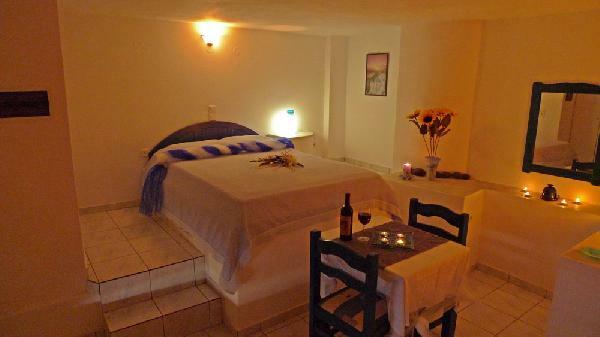 It is consisted of double and triple rooms, following the traditional Cycladic architecture. All rooms are equipped with air-conditioning, private bathroom, TV, refrigerator and kitchen. Enjoy our warm hospitality, which in combination to the tranquil and serene surrounding, will make your stay in Villa Happening unforgettable. 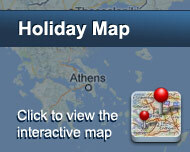 The guests will have the chance to relax away from the crowds, still without being far from Fira town (1km away). Είστε ιδιοκτήτης ή διευθυντής στο VILLA HAPPENING; Εγγραφείτε τώρα για δωρεάν εργαλεία, που μπορείτε να χρησιμοποιήσετε για να βελτιώσετε την καταχώρησή σας και να συνδέσετε την ιστοσελίδα σας και το σύστημα κρατήσεών σας.